The Belgian company Jidé, is a dynamic and innovative company specializing in the manufacture of steel fireplaces. It offers a wide range of products that are made skillfully and diligently by their technicians . With the aim of continuous improvement Jidé testing all homes in laboratories to ensure they comply with the most stringent standards for safety and thermal performanceand low-CO2. The Bodart & Gonay operates the past forty five years caring for its customers and pursues be at the forefront of technology and to achieve the very stringent standards ISO 9001 – 2000. With the strength of ingenuity and determination, managed the design and marketing of a full range of heaters with gas, wood or coal, combining the beauty of the flame with maximum heat recovery and performance with respect to the environment. TURBO FONTE is a family business that operates more than 25 years in the Bordeaux region of France. Patent CLEAR GLASS founder, is what made him famous. The company has developed an extensive network of distribution and marketing throughout Europe. Its success is due to a series of hearths of aesthetics and performance in combination with the respect for nature. In M-Design, the fire has always been the guiding principle for each design. M-design chooses simple and straight lines that emphasize the flame. Let yourself be seduced by the warmth and strength of fire as a result of higher development level, using all modern methods. The Bellfires is one of the trade prestige brands of European manufacturer Interfocos company based in Netherlands. Whether your taste is exquisite classic or modern, an Bellfires hearth is always the best option for the luxury and exclusivity. This translates to unsurpassed quality, the solid construction and the perfect finish using the finest materials available. Each plate is made by hand. Perfection to the smallest detail. Above all, it’s the stunning design that impresses the most, something that Bellfires always take precedence. CONTINENTAL Fires: www.continentalfires.com The Continental Fires is a modern company that manufactures electric hearths that are characterized by quick and easy installation, giving the feeling of warm air. 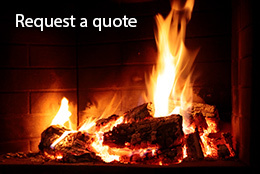 Combining design and quality to create a fantastic fire experience. 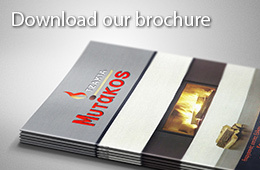 A company composed of people exclusively dedicated to manufacturing top quality fireplaces. The expertise is based on special sheet treatment. Maintaining the traditional in nature, even if based on advanced techniques such as laser cutting of metal or the design by computer. All products conform to the standards NF EN 13229 as applicable today. All the fireplaces consist of special steel and equipped with high-heat resistant refractories inside, so the the control of heat exchange can improve. The Totem hearth of wood are being manufactured in France. From our collaborations that deserve your full confidence. SUPRA proudly presents a wide range of heating products in which the design and quality coexist harmoniously. SUPRA is developing heating systems with wood for over 120 years and gives particular attention to the of combustion quality of the products. Our company is delighted to collaborate with German company ventilation- blinds CB-tec, using sensual design and excellent customization and functionality. The CB-tec blinds come to change the data to same-use products so far, by far to detail that’s evident visually as well as during the implementation and use.